Can you think of any culinary preparation without using turmeric? This flavorful yellow colored spice is one of the most widely used spices across the globe, at least in Indian cooking. Turmeric is found, mostly in its powdered form, in every Indian kitchen. Such is the taste, flavor and aroma of this bright colored spice that it lends to all foods, particularly curry dishes. Derived from the roots of Curcuma longa plant, turmeric is characterized by a tough brown skin and a deep orange flesh, similar to ginger. 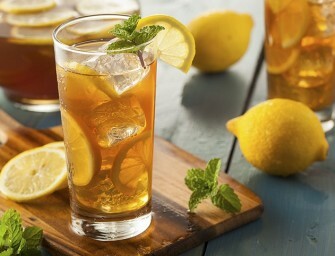 It gives off a peppery, warm and bitter flavor, with its fragrance being related to orange and ginger. A native to India, turmeric has been in use for centuries for its excellent healing capabilities. It has gained a place of honor in India’s traditional Ayurvedic medicine because of its magical medicinal powers. These amazing benefits have caught the attention of Western scientists and herbalists. Delve into the nutritional advantages of turmeric, used as a treatment for a variety of maladies. Add turmeric into your diet, if you didn’t earlier, to extract its maximum nutrients. 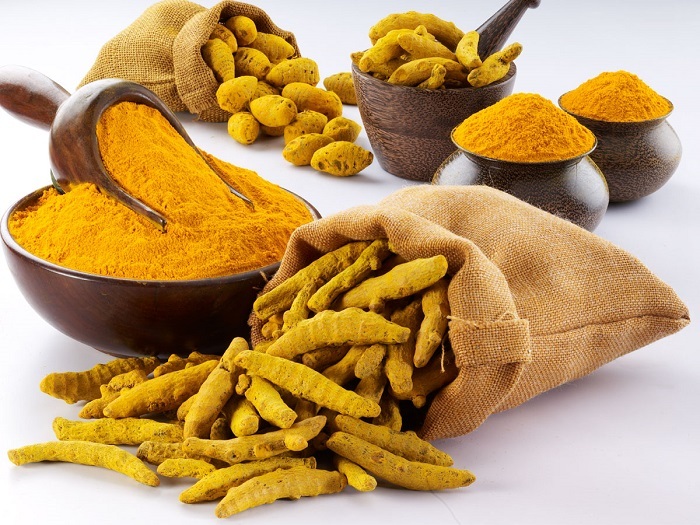 Though the exact origin of turmeric is not known, it is believed to be indigenous to south or Southeast Asia, particularly India and Malaysia, where it was cultivated more than 5,000 years ago. Originally used as a dye, turmeric was later employed for culinary and cosmetic purposes. The spice spread from India to China in 700 AD and later to eastern Africa in 800 AD and western Africa in 1200 AD. Gradually, turmeric harvesting spread to the tropics and became an important part of Jamaican cuisine. The Arabs took turmeric to Europe in the 13th century, with its popularity in the Western cultures taking place only in the recent times. Today, India, Indonesia, China, the Philippines, Taiwan, Haiti and Jamaica are the leading commercial cultivators of turmeric, with other producers being Pakistan, Malaysia, Myanmar, Vietnam, Thailand, Japan, Korea, Sri Lanka, Nepal, East & West Africa, South Pacific Islands and Central America. In India, it is cultivated on extensive levels in the states of Andhra Pradesh, Maharashtra, Orissa, Tamil Nadu, Karnataka and Kerala. Turmeric has anti-inflammatory and antioxidant properties which help in inhibiting the inflammation inside the brain, thereby treating and preventing the onset of the neuron-degenerative disease, Alzheimer’s. 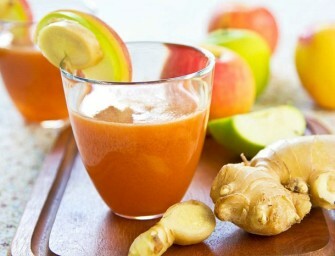 Turmeric gives rise to apoptosis, a process that triggers the self-destruction and elimination of cancerous cells. As a result, daily consumption of turmeric inhibits the growth of cancerous cells in the colon, prostate, pancreas, lungs and breast. The spice gains its anti-inflammatory abilities from the active compound, curcumin, which, when used internally or externally, helps in relieving pain associated with arthritis, pancreatitis and inflammatory bowel disease. Due to the presence of the essential nutrients, turmeric helps in protecting the eyes’ health, particularly cataract which can eventually lead to blindness, if not operated. The anti-inflammatory properties of curcumin in turmeric are known for alleviating acute pain in the joints and stiffness, caused due to gout. High presence of toxins in the body often leads to liver diseases. Turmeric, being an antioxidant, promotes a healthy life; thus, preventing headaches, hormonal imbalances, bloating, fatigue, constipation, long-term skin conditions, and premenstrual tension. It acts as a natural agent for avoiding the formation of gallstones or ulcers by stimulating the production of bile in the gallbladder, inducing the bile to dissolve cholesterol and calcium, and improving digestion. As a result, symptoms of indigestion, like bloating and gas, are reduced and recurrence of ulcerative colitis is prevented. Apart from possessing anti-inflammatory properties, turmeric is an excellent antibacterial agent which relieves toothaches and prevents it from spreading to the rest of the mouth. With several key nutrients found in turmeric, the spice promotes strong and healthy bones, regulates the thyroid gland and stimulates the health of the nerves. Turmeric is regarded as one of the richest sources of iron, which is necessary for boosting the immune system and inducing red blood cells to build hemoglobin, thereby preventing anemia. Vitamin B6 found in turmeric helps in processing glucose and carbohydrates in the body; thus, preventing homocysteine levels in the blood from shooting up high. Homocysteine is a part of the amino acids, but can cause medical problems when found in high amounts. This is regulated by this nutrient, apart from preventing different skin problems, including eczema and psoriasis. Turmeric contains potassium which is essential for regular heart beats, fluid balances in the body, blood pressure regulation and increased muscle energy. The antibacterial, antifungal, and antiviral properties of turmeric are beneficial for disinfecting and healing skin wounds, scrapes, cuts, and minor burns. Turmeric has also been linked with preventing osteoporosis and bone fractures occurring due to this illness. Consumption of turmeric effectively reduces the loss of bone mineral density and improves the bone structure. 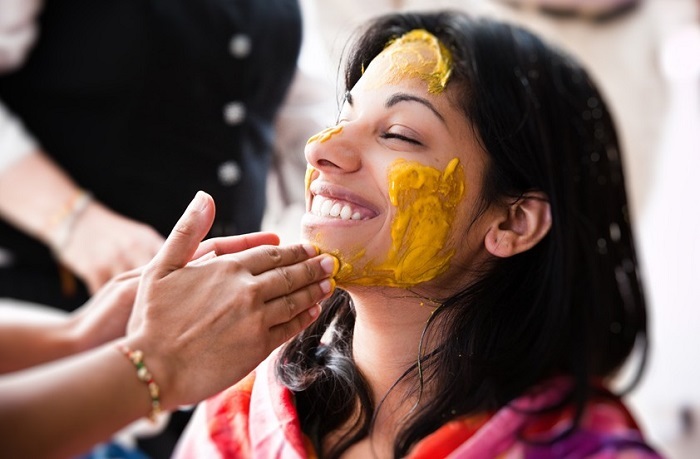 When diluted in milk, turmeric helps in reducing the redness and swelling caused due to acne. The anti-inflammatory capabilities work towards minimizing the side effects of acne. Other health benefits of turmeric are associated with treating cerebrovascular disease, Parkinson’s disease, jaundice, obesity, dysentery, fever, allergies, scars, pigmentation, pregnancy stretch marks, menstrual disorders, lactation problems, hemorrhoids pain, skin inflammation, sinus congestion, asthma, muscle soreness, rheumatoid arthritis, diabetes, diarrhea, urinary disorders, insanity, food poisoning, poor circulation, leucoderma, scabies and worm infections. Turmeric has about 354 calories per 100 gm of weight. Turmeric is readily available in the spice section of grocery stores as whole or in ground dried form. But the most widely used form is ground turmeric. Since turmeric is highly susceptible to light, it is generally packed in airtight packets or tins. Even though it is inexpensive and you may be tempted to buy large containers, it is best to purchase turmeric in small quantities since it is indigestible when consumed beyond its shelf life. When kept in a tightly sealed glass or tin container, turmeric can be stored for up to six months in a cool, dry, dark place. Neatly wrap fresh turmeric rhizomes and refrigerate to keep them fresh.